Don’t let the time of year deter you from taking part in the Mona Vale Winter Solstice Ocean Swim. The average water temperature at this time of the year is a beautiful 20-22 degrees. Organisers run the event like the ocean swims of old, more like an excuse to enjoy the ocean rather than a race to win prizes. There are only four divisions and it is followed by the legendary free soup kitchen – just the right motivation to get wet and get to the end. 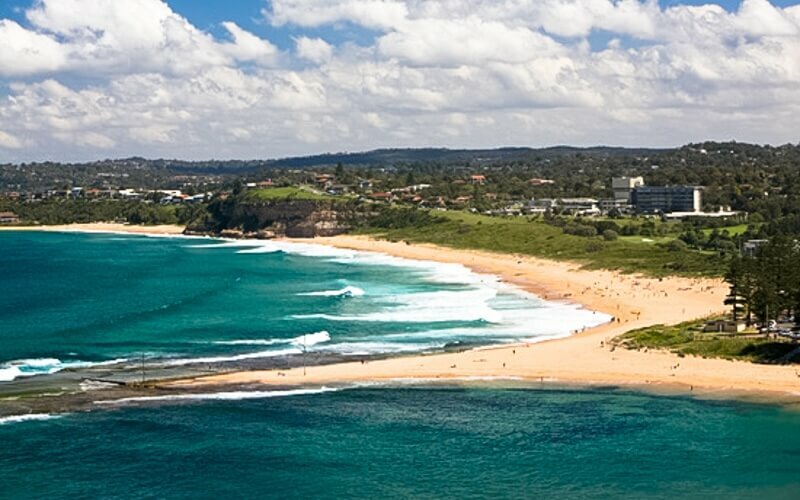 The swim starts at Bongin Bongin Bay north of the pool and finish at Mona Vale Beach. The highlights are the free parking available (bonus! ), soup kitchen and cheap entry fee (only $25), with the only thing to be mindful of is that you can’t enter on the day – so get to it. The 1.2km swim starts not at Mona Vale, but north in the usually sheltered Bongin Bongin Bay, making its way south around the headland into Mona Vale. With a swell running the finish can throw up a decent beach break to make you feel like you’ve been challenged. You’re spoilt for choice in the cafe department in the ‘vale, and at this time of the year you’ll be looking for the warm welcoming cafes with the heat cranked up. You can’t go past the cute little Armchair Collective, Italian inspired Cinque Cucina Caffe or for something traditionally Aussie and with superb views, the Bronze Cafe. Much like all the northern beaches, there are beach carparks scattered along the beach and free on-street parking. The locals are beach people, and if you’re not there early you’ll be turning your swim into a walk swim walk.